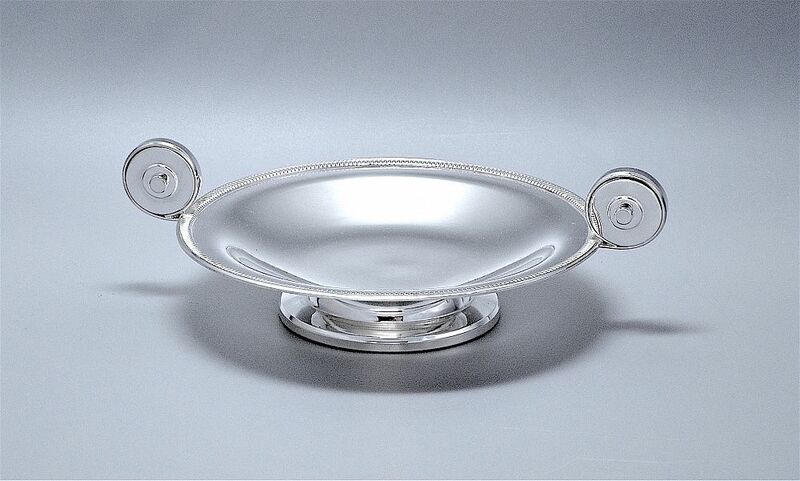 This wonderfully elegant silver plate tazza is French and made during the Art Deco period. The slightly concave bowl has a patterned edge and round double sided handles and sits above a round tiered foot. The base and the underside of the rim are stamped, the one on the underside of the rim is indecipherable whilst the one on the base appears to be "CN".